Last Friday the Irish American James Connolly Labor Coalition (in the USA Labour is spelt without the u) organised a luncheon meeting of trade union leaders in Manhattan, mainly from New York, to introduce them to and seek their endorsement of the McGuinness Principles. There was a good crowd, good food and good craic. Additional tables were rolled out as more and more trade union delegations arrived. By the time John Samuelson, the International President of the Transport and General Workers Union called the meeting to order the room was packed. John said a few words of introduction and I spoke about the many connections between Ireland and the USA, the McGuinness Principles, and Sinn Féin’s campaign for a unity referendum and a united Ireland. 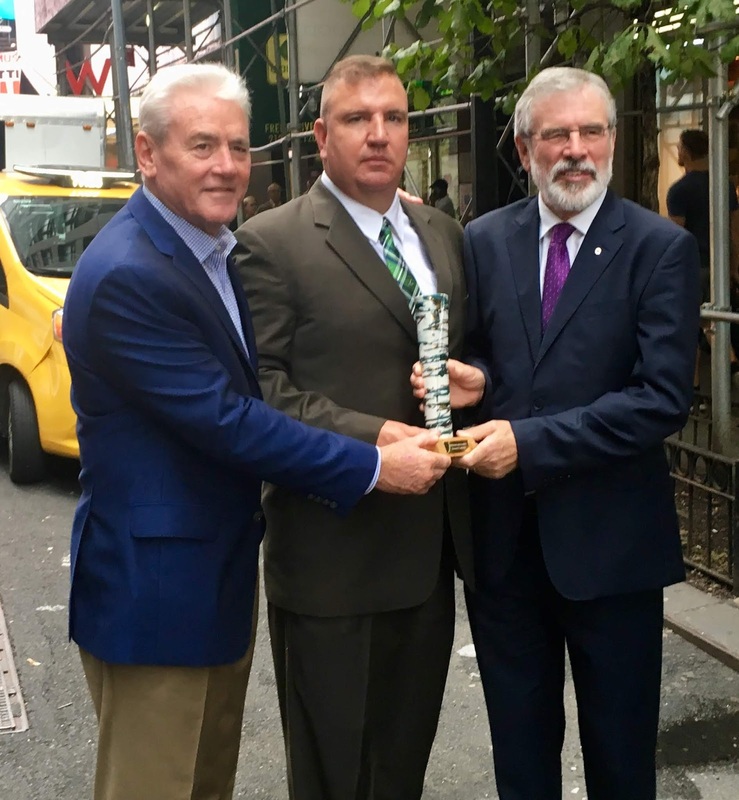 Irish American Labor leaders played a positive role in the political momentum in the USA and in supporting the peace process. Many of the great trade union leaders in American history have their family roots in Ireland. Leaders like Mary ‘Mother’ Jones and Peter Maguire; Mathew Maguire and Mike Quill and many others. That tradition has been carried on to this generation. 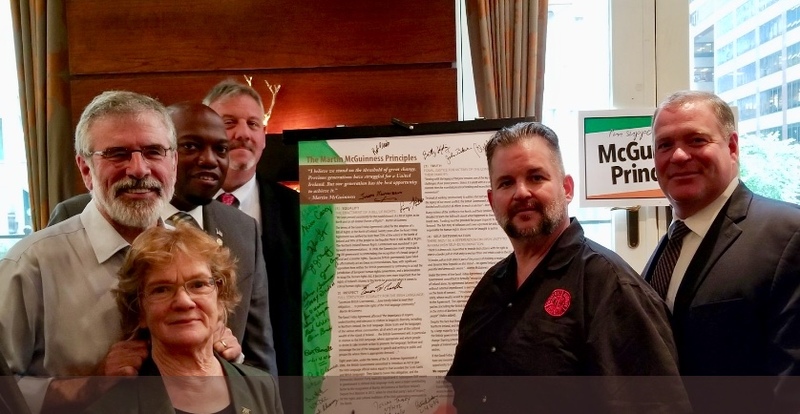 Leaders like Terry O’Sullivan, the General President of LiUNA, (the Laborers International Union of North America), John Samuelson TWU International President, Jim Callahan President of the International Union of Operating Engineers, and Mary Kay Henry International President of the Service Employees International Union are all proud Irish American labour leaders. Joe Jameson was one of the Irish Americans for a new Irish agenda in the 1990s. Connolly was a hugely influential trade union activist in America. He lived in the USA for seven years where he helped establish the ‘Independent Workers of the World’. Connolly understood the importance of workers standing together, united against injustice and oppression. In Belfast he organised the workers of Belfast, and especially the linen slaves - those thousands of young women who worked in hellish conditions in the Mills - which were the backbone of Belfast’s economy. During the Great Lockout of 1913, in the city of Dublin, he and Big Jim Larkin, led an epic struggle for worker’s rights. Larkin too spent time in the USA between 1913 and 1924. This involved three years in various New York prisons, including the notorious Sing Sing, after he was convicted of ‘criminal anarchy’ for fighting for workers’ rights.